Under just a month, iOS 11 has been installed on 47% of compatible devices worldwide since its big launch in September. iOS 11 Sees Steady Adoption. Overtakes iOS 10 in Just Under a Month. According to data analytics firm Mixpanel, iOS 11 has been installed on 47% of all compatible devices worldwide. This number will surely sound impressive when you realize that this feat was pulled off under a month keeping in mind that the new firmware is compatible with 64-bit devices only. Furthermore, iOS 10 is currently installed on 46% of devices worldwide, but that number will surely dwindle in the time to come. What about the remaining 7%, you ask? It’s been taken up by older devices running iOS 9 or below. Still, not bad if you’re asking us. The launch of iOS 11 was not swift for everyone. While it did not manage to brick devices at all, but users did stumble across certain bugs and battery related issues. Thankfully, Apple has been releasing updates to the software on a weekly basis, doing its best to patch up things at a rampant pace. 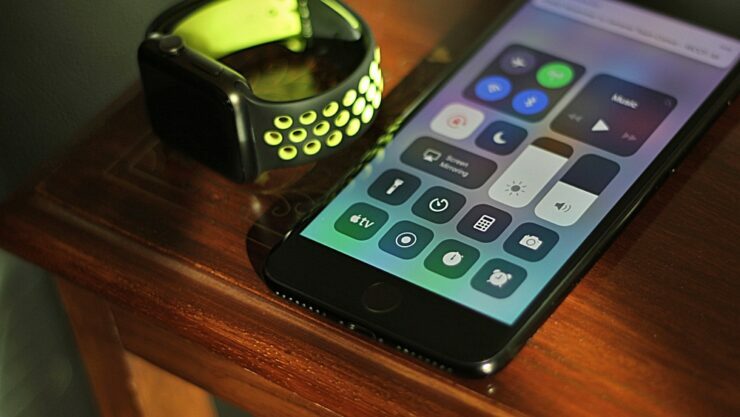 But that’s not all, the company is working on the next big release already, which is iOS 11.1. Currently in beta, available for developers and public testers alike, it features a host of fixes while introducing a new set of emoji characters while bringing back the fan favorite 3D Touch app switcher gesture. For iOS 11, things will only improve down the line, and I suggest users to give it a chance. It introduces hundreds of new features such as augmented reality, new formats for shooting photos and videos to save space and more. There’s even a brand new Control Center, for those who crave something entirely new. Overall, it’s a good change, and something which will ultimately go down well with users.